This programs derives a table of secular change in magnetic declination for a specified point in the conterminous United States. It utilizes the USD polynomial and the IGRF spherical harmonic models. 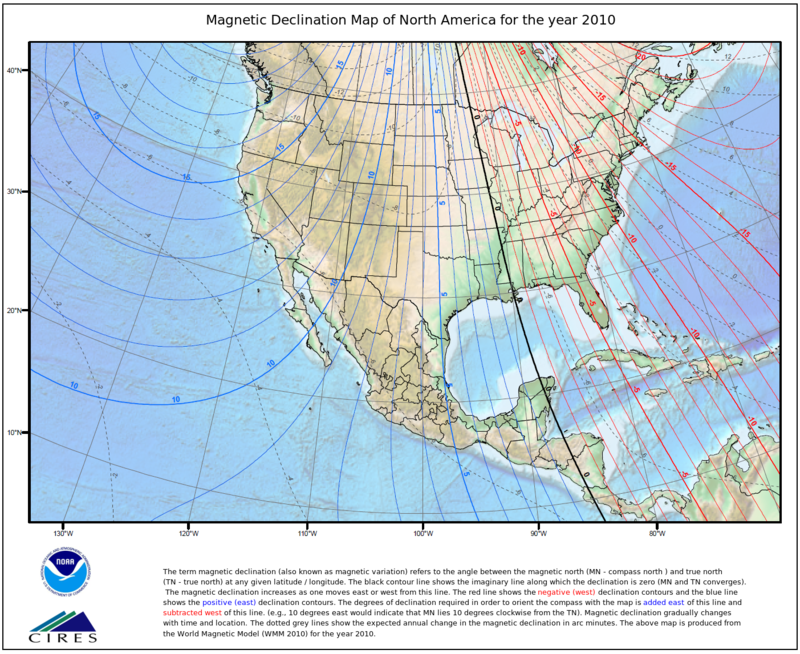 Declination is calculated using the current World Magnetic Model (WMM) or International Geomagnetic Reference Field (IGRF) model. While results are typically accurate to 30 minutes of arc, users should be aware that several environmental factors can cause disturbances in the magnetic field.